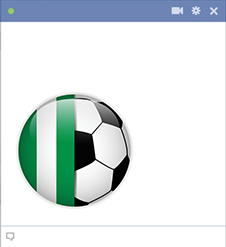 If you support the Nigerian team, you can root them on to victory when you post this image to your FB timeline. Tell your friends that they can choose icons in support of their favorite teams too. We love to create fun emoticons for use on Facebook. Check them out and post some today.